The Pavilion at Piketon is celebrating 40 years of serving seniors of all backgrounds. Our care community is designed as a relaxing haven for those who are looking for a secure, serene and maintenance-free lifestyle. Here at The Pavilion at Piketon, the joy of life is clear and infuses everything we do. Our residents enjoy a rich calendar full of social and recreational activities. We offer multiple lifestyle enhancements and amenities that include beautiful rooms, restaurant style dining, private phones, Wi-Fi, and cable television. 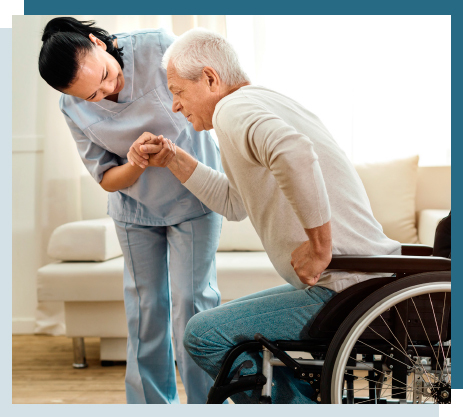 We are here to maintain a high quality of life for your loved one despite loss of memory. Our dedicated caregivers work under expert medical direction to address the needs of our patients, helping to mitigate the effects of dementia. Our certified dementia practitioner provides daily hands-on management and customized programming. Our fully secured unit offers varying levels of independence. Redirect your search for dementia care and help your loved one feel completely at home.